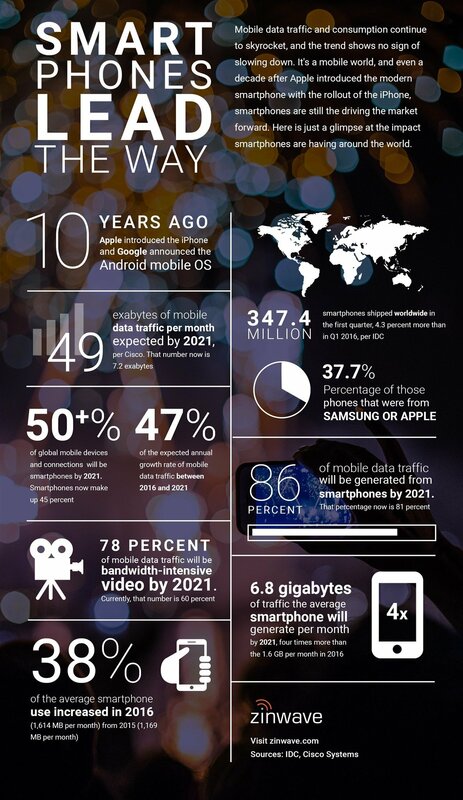 Mobile technologies have changed the way we experience everything. It’s no longer enough to be at a big event. Sharing that experience with friends and family through photos, text messages or social media posts is equally important. However, crowded venues put a strain on the traditional cellular networks which require more coverage and capacity to allow for the volume of shared data. Properly providing the kind of reliable wireless coverage that can give guests that fully mobile experience can be the difference between the decision to buy a ticket or not. Ensuring a robust mobile experience can be easily achieved with a distributed antenna system from Zinwave. with our devices and each other. A Zinwave distributed antenna system amplifies the cellular signals in your venue, allowing everyone to share, post, or call instead of scrambling to find a cellular signal. We call it the Zinwave 3F Advantage - Fiber Based, Full Spectrum and Future Ready. Amplifying the cellular signal in both the restricted access areas and public areas of your venue, it provides access to the full spectrum of available cellular and public safety radio frequencies from Day 1 on a single hardware layer. That ability to access the full spectrum of frequencies means you also have the infrastructure needed to take advantage of emerging technologies like location-based services, the Internet of Things, and 5G cellular over fiber cabling. TV recording studios, retail outlets and conference facilities. READY TO DISCUSS OUR IN-BUILDING WIRELESS SOLUTION? Can your building provide the connectivity first responders need? Read the suvey to learn more about communication obstacles first responders are facing today.